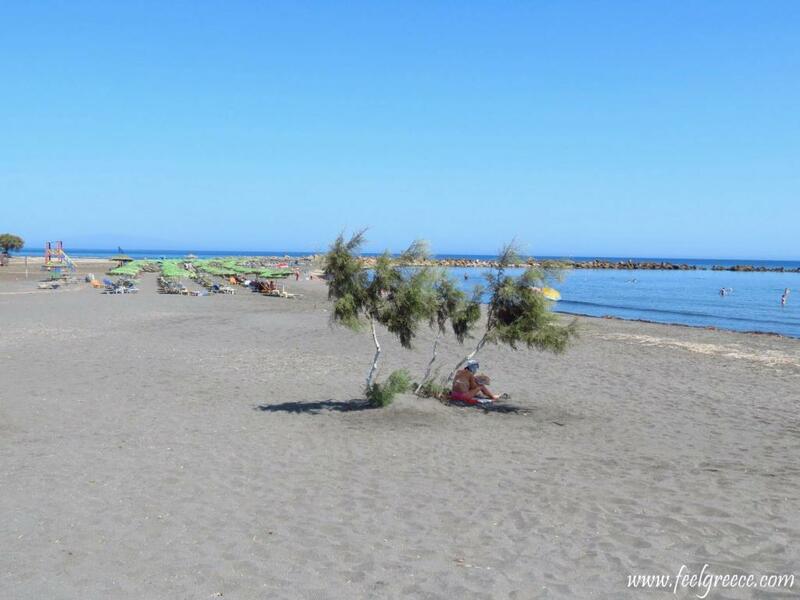 This post is continuation of Beaches of Santorini (part 1) - Red beach, Kamari, Perissa, Perivolos and Agios Georgios, Vlychada and Messa Pigadia. Unfortunately we had no time to visit it because it can only be reached by sea. There are boat taxis from Kamari and Vlycahda which go to the White beach. It is between Kambia and Messa Pigadia, hidden under high white cliffs and thus its name. 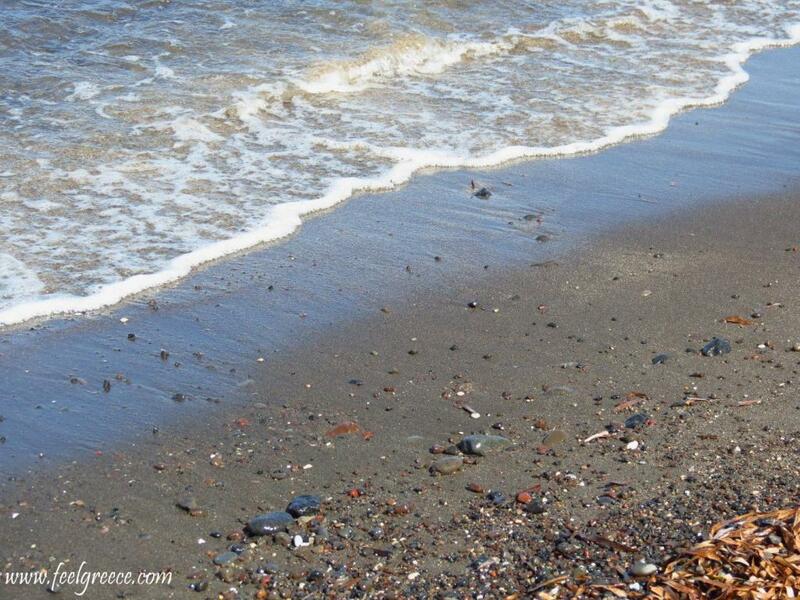 These two beaches are next to each other and again, we could not tell them apart. They are non-organized and quiet, the water is shallow around the shore and warmer. There is plenty of space and you can always find privacy if you want. That is what we read before we go but the truth is we didn`t see nudes when we were there. The beach is long and has one beach bar. Part of Koloumpos is surrounded by high black-grey cliffs forming a cove. The sand is mixed with pebbles. 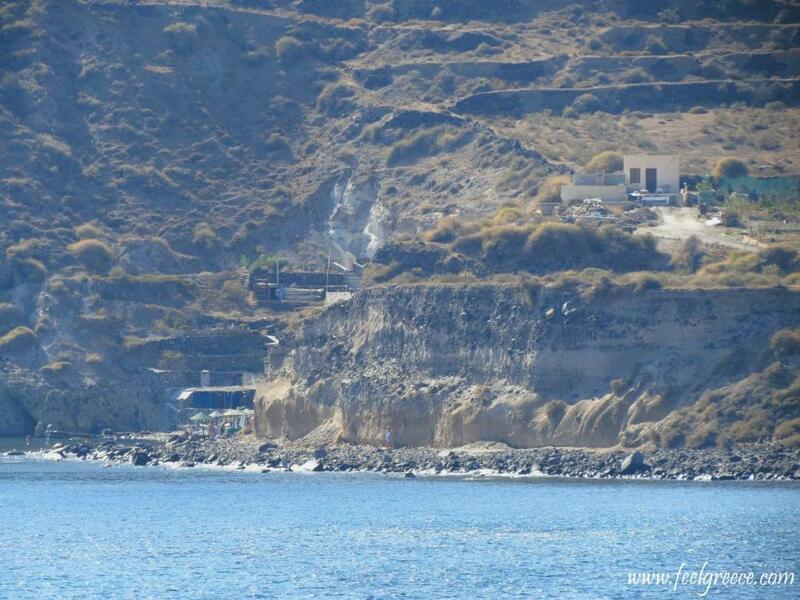 Vourvoulos is a village in the middle of Santorini and its beach with the same name is about 1-1.5 km away from it. It has a small pier with a narrow strip of sand and pebbles and some volcanic rocks in the north end. There is also a beach tavern. It wasn`t much different than the other beaches in the area but somehow it didn`t grab us. Like Vourvoulos. Would be good to specify that on the map you will see Exo Gialos Thiras and Exo Gialos Karterados, which means that one is the beach of the capital and one is the beach of the village of Karterados but they are merged and look exactly the same. The village of Monolithos looks like houses built in the middle of nowhere but the beach is nice. It is small but wide, with sand and shallow water. The striking thing here is the trees grown up directly on the beach, and not because they are on the sand but because there are hardly any trees on Santorini. 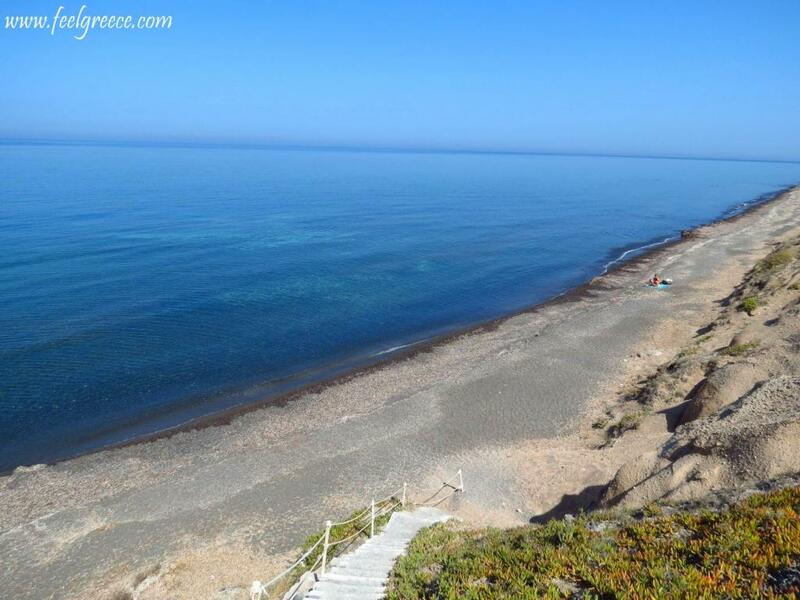 Very close to the Red beach but accessible by car and bike from the road to Faros near Akrotiri. We saw it from the Red beach and it looked very rocky so we decided to drop it. It seemed to have a beach bar and some sun beds. 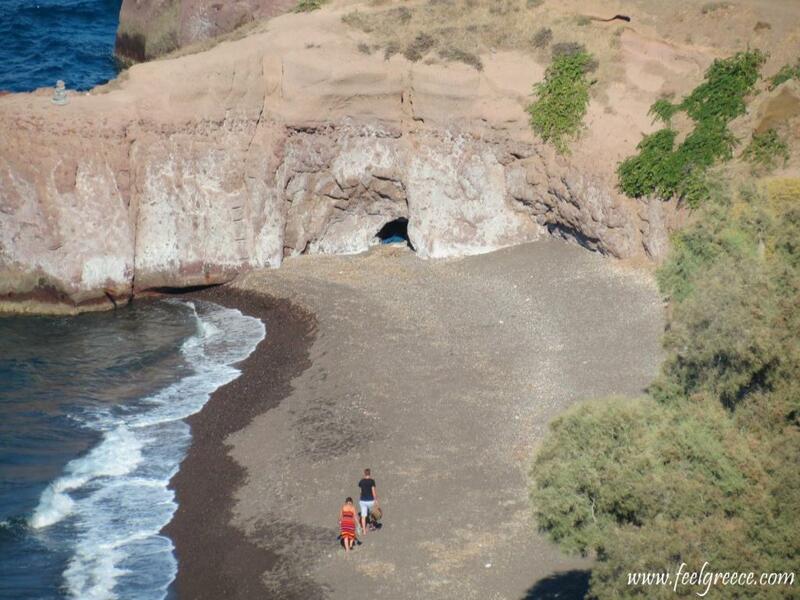 The only beach on the west side of Santorini. It is under the village of Akrotiri, just before you enter the village, and you can reach it by car on a narrow paved road. The beach itself is nothing special but as the name suggests, it has a gorgeous view of the caldera. 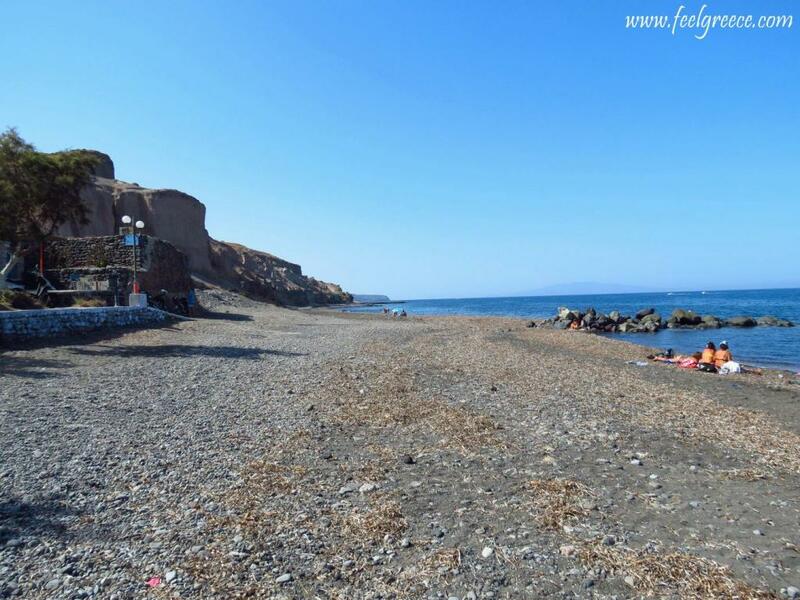 If you are used to beaches with vivid blue and green water, Santorini`s black sand and rocks would look peculiar and even gloomy to you but by all means these are beaches you won`t see anywhere else.